Have you ever wished you had a certain picture with you to show someone? That has happened to me a lot of times. I mean, there are only so many pictures you can keep in your purse or billfold. That is why I was so happy to review a Digital Photo Keychain. I love that it's so small and can go anywhere with me. It holds a ton of pictures and they are easy to put on and take off of it. 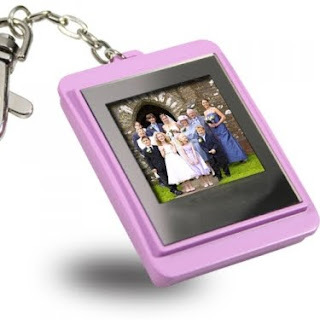 The pink Digital Photo Keychain is only $9.99! What a great deal! The photo quality was pretty good also. You can see a few of the pictures I took off of it with my camera. Please leave a separate comment for each entry. Giveaway is open to US residents only. Giveaway will close Thursday night September 16th at midnight. I was given a pink Digital Photo Keychain in exchange for a review from WholesaleKeychain.com in association with Tomoson. Wow! That is a cute little gadget, Nancy!! I have so many cute pictures of my niece I could put on there! That's very cool....I think Joy would try to take it from me though! I'd love to be entered, Nancy! 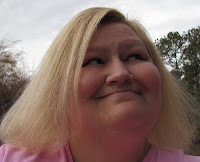 I love pink and pictures. Please put me in to the giveaway! Thanks, Nancy. Happy to be a follower. I guess being able to show photos of your kids to anyone, anytime would be a good thing.